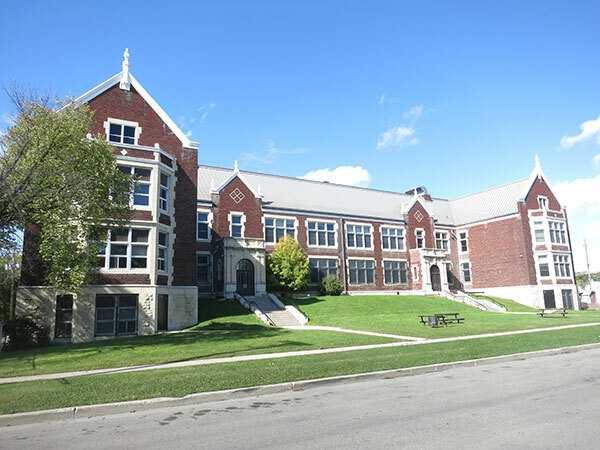 Built in 1921 on a design by J. N. Semmens, at a cost of $217,000, the striking building of red brick with Tyndall stone accents had 20 classrooms and an assembly hall. 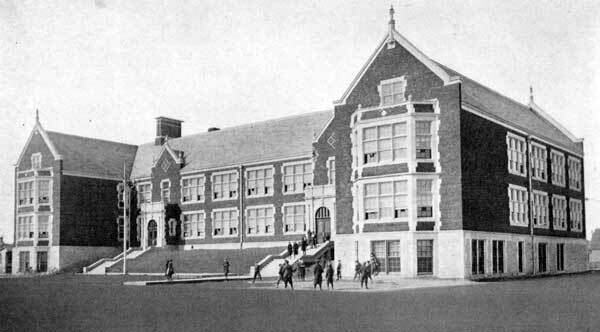 In 1922, it was estimated that 75% of its 800 students were from non-Anglophone backgrounds. 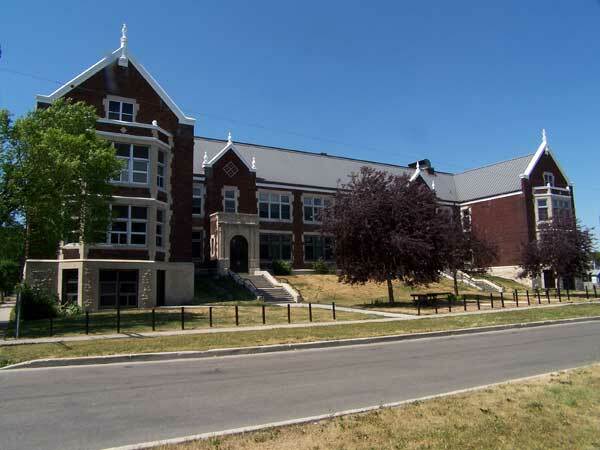 Used as a high school until 1957, when Sisler High School opened, it became a Junior High School for primary students from Aberdeen School, King Edward School, Ralph Brown School, Strathcona School, and William Whyte School. Mary P. Paley, Ernie Unruh, ? “Winnipeg schools, No. 42—Isaac Newton,” Manitoba Free Press, 4 December 1922, page 12. “School posts filled,” Winnipeg Free Press, 15 May 1974, page 3. We thank Nathan Kramer, Alvin Karalus, and Lawrence Prout for providing additional information used here.